YAWP! Backpackers was established on 3/23/2015 with Tokyo’s cherry blossoms beginning to bloom. 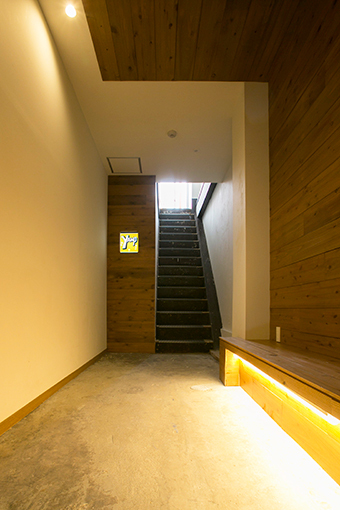 Takasago was chosen because of its convenient location and the warm, friendly, local environment. I have also traveled worldwide and had many exchanges with locals and tourists as well. By meeting many nice and helpful people from different cultural backgrounds my traveling experience became much more enjoyable. Because of these great experiences, I became motivated to open my own hostel in order to show my appreciation by sharing the charm of Japan. YAWP! Backpackers is a small hostel because the focus is placed on cultural exchange and a comfortable environment. As I traveled around the world visiting over 100 hostels, I found that small hostels could be enjoyable too. I think many people have the preconception that they should stay in hotels while traveling, but they miss out on the great opportunity a hostel provides for intercultural exchange. Japanese guests are invited along with travelers around the world to gather together, enjoy stories, relax as friends under a common roof, and above all, sleep well! My goal is to provide the best experience in hostel accommodations. Born in 1978, Kagoshima Prefecture. Grew up in Sakura city, Chiba Prefecture. Father was a world traveler who traveled in the United States where he met my mother. Because of relatives living in the United States, it was possible to visit the US at a young age. Enjoyed art during high school and eventually started doing caricatures on the street. 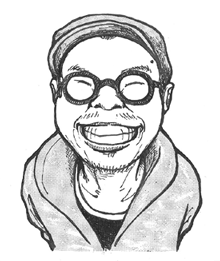 During college, wandered around Japan doing more portraits. In 2008, embarked on a journey around the world and continued doing caricatures throughout 2009. In 2015, founded YAWP! Backpackers. Young Tibetan man who dreams of opening a Tibetan restaurant in Japan and is currently studying Japanese. He helped significantly with the exterior work of the establishment. If you are lucky, you may get to try some of his Tibetan cuisine. He is from San Francisco and is traveling around the world. His character is calm and funny, so he is loved by a lot of travelers and locals. Although he is crazy, his great kindness will heal the people all over the world.